These carrots are easy to make and full of flavour. I had a hard time finding zaa’tar (a blend of Middle Eastern herbs) but was able to make my own as an acceptable substitution. 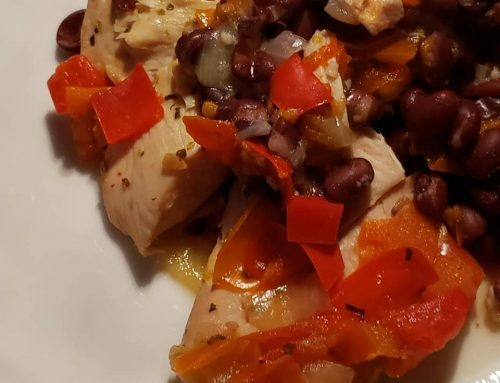 Get that recipe HERE. 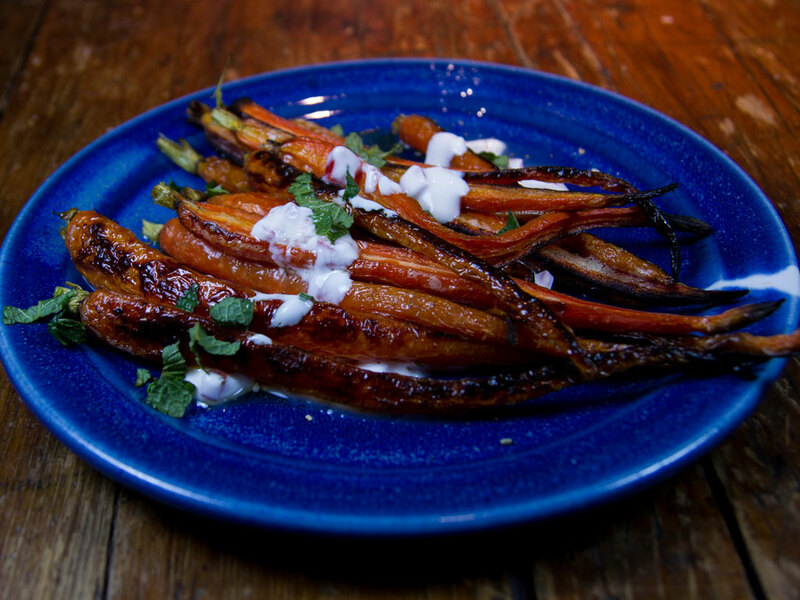 These carrots are a wonderful accompaniment to lamb or seared pork. Low in calories, fat and only 3 Weight Watchers points. Cut away the carrot tops and then scrub the carrots clean. Slice in half and place onto a baking sheet. In a small bowl mix the roasted pepper and 2 tbsp olive oil. Spread onto the carrots and rub with your hands to coat. Place into the oven and bake for 25 minutes, tossing half way through. In a small bowl add 1 - 2 tbsp of cold water to the Greek yogurt to thin it out. It should be slightly thinker than ranch dressing. Scoop the yogurt onto a plate and spread it around. Remove the carrots from the oven and place them on top of the yogurt. Season with the zaa'tar and salt. Drizzle with lemon juice, olive oil, and top with chopped mint. Serve warm or cold.